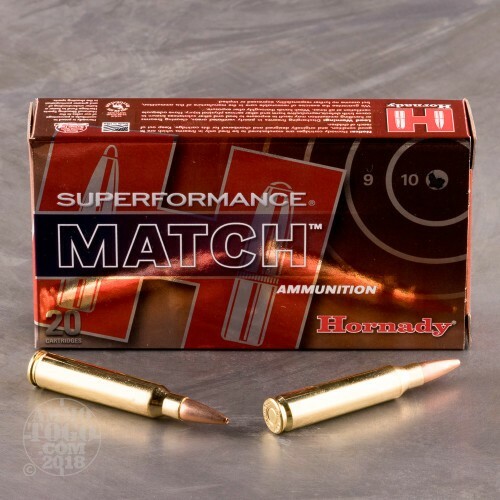 This Superformance Match 223 Rem cartridge by Hornady is loaded with a propellant that has been scientifically formulated to increase a rifle’s muzzle velocity by up to 200 fps. 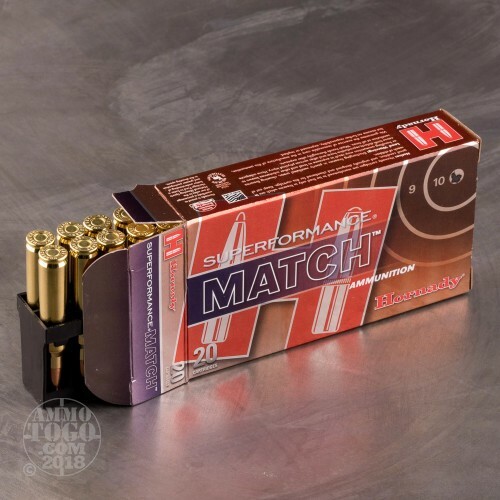 What it does not increase are the undesirable side effects that could come with such a boost to speed: recoil, chamber pressure, temperature sensitivity, fouling, and muzzle blast. It especially preserves accuracy -- the improved range, resistance to wind drift, and flatness of trajectory that a Superformance round delivers are of the sort that competitive shooters seek. This cartridge bears a 75 grain hollow point boat tail projectile. The bullet’s tapered base does even more to flatten its trajectory and assist it in shrugging off cross winds, a perfect complement to its propellant. 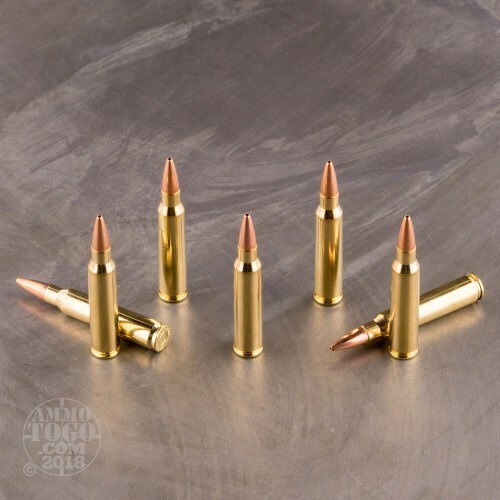 These 20 rounds’ brass casings are standardized to a T, offering highly uniform dimensions to one another so that their shooter need never guess anything about their upcoming shots’ performance. Want to shoot your target 20 times but only leave one hole? This is just the ammo you need to turn your AR into a real tack driver. This ammunition performs flawlessly out of my POF 7 1/4 inch barrel. Dime size groupings at 25 meters and 2 inch groups at a 100 meters using an eotech with 20 mph winds. 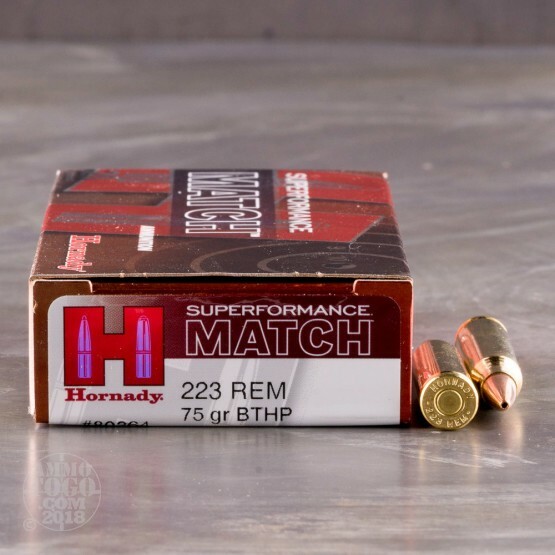 This is why I love Hornady, they push the limits of the .223. This is a very fast 75gr round, it is very accurate, and the kinetic energy is great. I need to do some ballistic testing on this load, but I feel it will be comparable to the Hornady TAP 75gr T1 Hollow Point. My Sig 556 loved this stuff!